Knowledgeable, Experienced and effective, Barry has been a mediator since 2002 undertaking many varied and complex disputes. He is a Nationally Accredited Mediator and an accredited Family Dispute Resolution Practitioner registered with the Federal Attorney General's Department, able to issue Section 60I certificates pursuant to the Family Law Act 1975. Barry is also accredited as a Chairperson with the Family Law Conferencing Unit, NSW Legal Aid Commission conducting Family Law mediations pertaining to children and property. 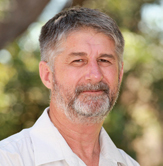 Barry has completed specialised training with NSW Legal Aid Commission in Aboriginal Family Mediation and has successfully resolved numerous disputes in Western New South Wales communities. Additionally he trained and is accredited with the Community Justice Centres, NSW Attorney General's Department conducting a wide range of mediations from neighbourhood disputes to business and personal matters. Barry has also facilitated meetings in both the private and government sector. Some 3 years ago Derek Cooke and Barry Walker established Mediation Solutions utilising a co-mediation model to provide a cost effective alternative to legally based Family Law mediation in relation to children and financial matters. Mediation Solutions also undertakes the resolution of work place, business, insurance and community based organisation disputes within the private and government sector - in fact any dispute where a satisfactory resolution has not been able to be achieved. Continuously held appointment of Justice of the Peace since 1988. Successfully completed mediation training with Community Justice Centres, Legal Aid NSW, Uniting Church "Institute of Family Practice", Relationships Australia "Australian Institute for Relationship Studies"
Family , my children, grandchildren ,friends ,travel within Australia and old Western Movies.